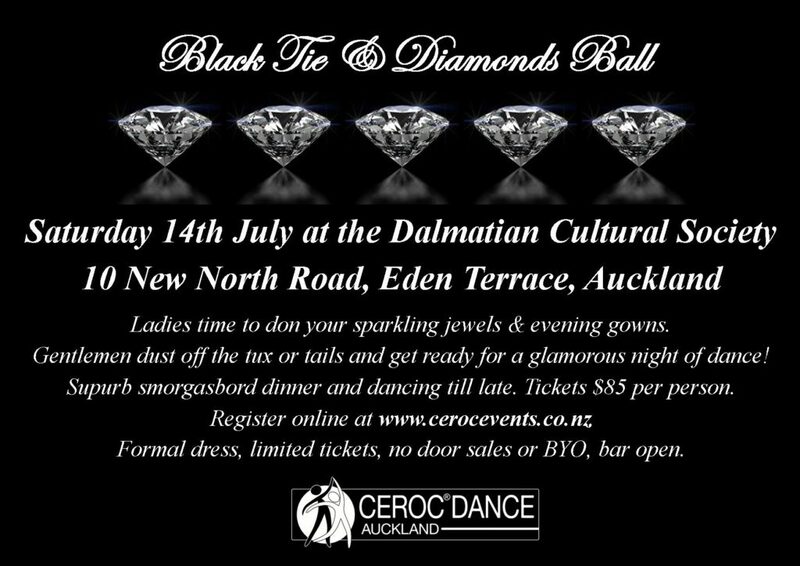 Auckland Ceroc Black Tie Diamond Ball. 10-14 New North Road, Eden Terrace, Auckland. Join us for an evening of Glitz and Glam at our Black Tie and Diamond Ball. 7:00 pm Doors open 7.30 pm dinner served. Formal attire required. No door sales. Tickets must be pre purchased online, payments can be made at class. Ticket sales close this Sunday so click on the following link and purchase your ticket now!